As China's economy has improved, it has built infrastructure to reduce it's physical isolation from the rest of the world. 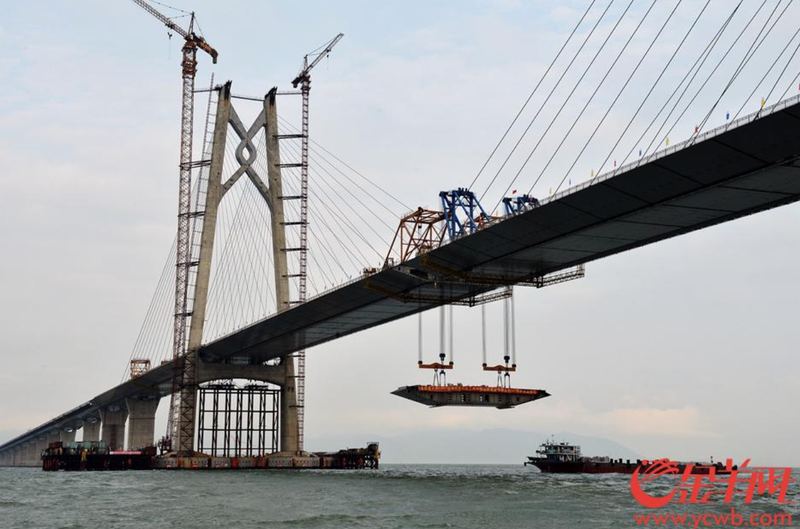 One example of this work is the 34 mile long Hong Kong-Zhuhai-Macau Bridge (HKZMB). Work began on the project in December 2009 and it should be completed by July 2018. The bridge includes artificial islands, an undersea tunnel, and a 14 mile long navigation channel with three handsome cable-stayed bridges (see drawing below). Two of these bridges have 'Dolphin' shaped towers with a single plane of cables in the middle (see photo above) and the third bridge has 'A' shaped towers with two planes of cables along the edges of the deck (see bottom photo). 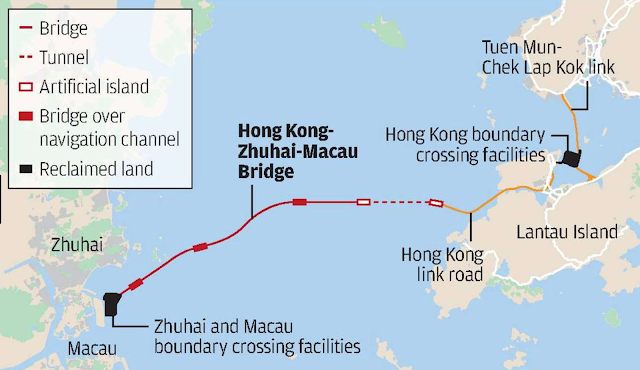 The HKZMB will have dual three-lane roadways and a 120 year design life. It is estimated to have cost over 16 billion US dollars. 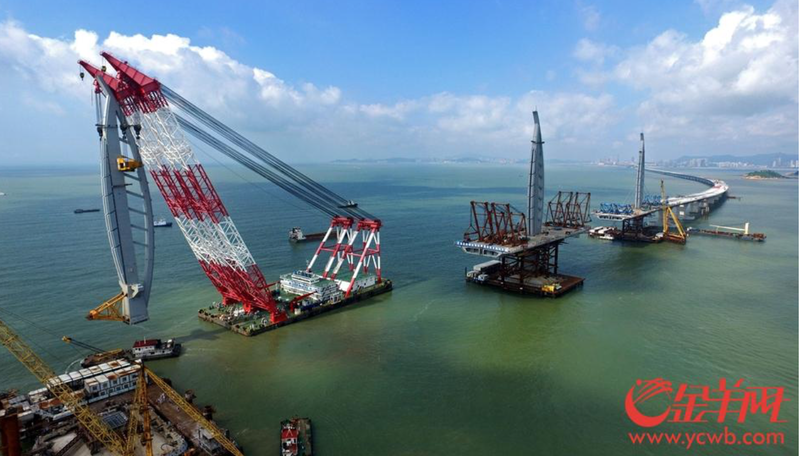 During construction there were reports of delays, poor worker safety, corruption (falsified test results), and cost overruns. Recently, there have been reports of degradation of the sea walls around the artificial islands. Hopefully, these problems are the exception rather than the rule and a safe and reliable bridge will be the result of all of this work.